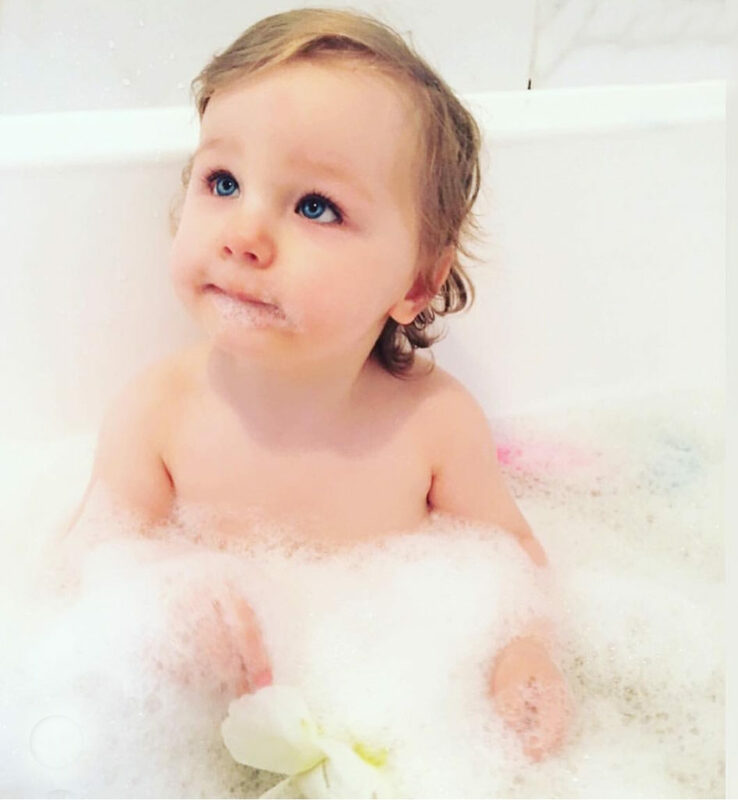 We recently sent the cute little Ivy-Beau (as seen on the left) and her mummy Megan, a selection of Baby Kingdom products to try in their home and see how they performed on Ivy-Beau’s sensitive and eczema prone skin. 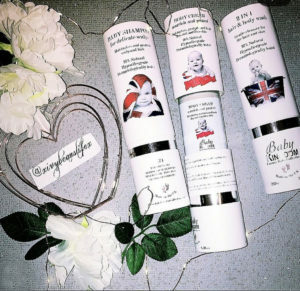 Ivy-Beau and Megan were sent our Baby Kingdom 2-1 hair and body wash, body cream and shampoo, read on to find out what they had to say about the products. 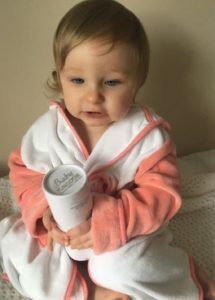 Ivy-Beau and her mummy Megan’s review…..
We were so lucky to be gifted 3 stunning products from the wonderful @bkcollectionuk ❤️. The packaging on each bottle was beautiful & full of so much detail.. as you can see in the picture of the bottle out of its packaging. It was rich in moisture to which is great for Ivy-Beaus dry skin. It was also lovely to know that all products are Sulphate & paraben free and vegan friendly. 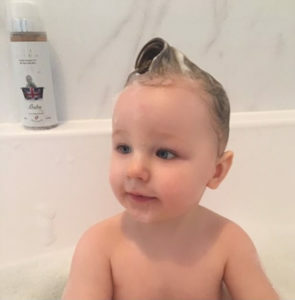 🌸Baby Shampoo for delicate Scalp: Loved this so much, it was so gentle on ivy-beaus eyes. It lathered up so well as I can see in the pic & it smelt & still smells so beautiful I can’t stop sniffing her head 🤣! It helps soothe dry scalp & her hair is lovely and soft & shiny! 🌸Body Cream Nourish & Protect: Loved this Product too in an easy pump bottle, it came out white & absorbed quickly on ivy-beaus skin. It smells beautiful & is made with organic ingredients. I love that it will protect & heal Ivy-Beau’s poor eczema flared skin ❤️. ✨Overall I absolutely adore all of these products, they smell beautiful, sensitive on my babies skin & come in high quality packaging. You can tell they are high quality & made of only the best ingredients. I would highly recommend them to anyone with babies with sensitive skin ❤️. 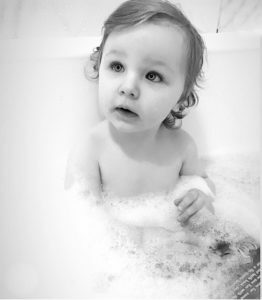 Wow, thank you to Ivy-Beau for helping mummy to put this great review together, we can tell you great stuff about our brand all day long, however you can’t beat hearing it from real, honest mum’s!